In wedding vows we promise to love, honor, cherish and care until death do us part. What is the duty of spouses as caregivers? When caregiving involves caring for an ill or incapacitated husband or wife what exactly does this mean? Does it mean no longer seeing friends, attending social activities, attending to our own health or living life as we once knew it? How far should we go in giving up our lives to care for another? We all hope to experience a wonderful retirement. What happens when one spouse becomes ill and needs constant care? What happens when a second marriage occurs and shortly after the marriage, one spouse is diagnosed with a terminal illness? Retirement offers unexpected surprises that derail dreams of a happy retirement. Instead, the duty to caregive and the promise of until death do us part may become an unwelcome responsibility. Spouse caregivers experience greater stress than other caregivers because they more often become 24/7 caregivers. Loneliness and isolation become factors that result in depression. Suicidal thoughts are common among spousal caregivers. Adult children who can help with caregiving responsibilities can be a blessing for aging parents. 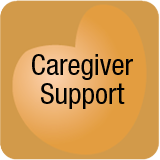 Support for the caregiving spouse can relieve stress, anxiety, and caregiving burnout. Caregivers often feel that caregiving has ruined their lives. Feelings about caregiving are rarely discussed in public because of “caregiver shaming.” This is when persons who are not caregivers chastise caregivers for expressing their feelings about caregiving. It should not be wrong to say, “I hate being a caregiver,” or “I wish caregiving was over,” when this is how a caregiver feels. Caregivers benefit from attending caregiving support groups where other caregivers make similar statements and understand the stresses of caregiving. Spousal caregivers are torn between caring for themselves and the husband or wife. Many spouse caregivers struggle with the “G” word – guilt – on a daily basis. Spousal caregivers feel guilty because of doing too little or too much. Spousal caregivers feel guilty because of a desire for alone time. Time alone becomes precious when another person is dependent for help 24/7. It is very important to remember that self-care regardless of the duty to caregive is important NOW. If self-care is not a priority, the spousal caregiver may be unable to continue to caregive. If you need proof of the health consequences of the duty to caregive, look at the example of Christopher Reeve and his wife. After the riding accident that left him virtually unable to care for himself, his wife devoted her life to caring for him. After Reeve passed away, his wife discovered she had cancer and did not live long after the diagnosis. 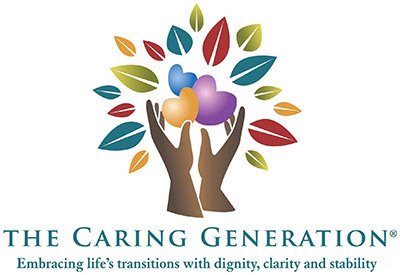 It is easy to say that her illness was unrelated, however, those of us working in the aging field are well aware of the stress that caregiving places on the caregiver both from a mental and a physical dimension. During caregiving, stress is placed not only on a spouse but also other family members and friends involved in caring for a loved one. It is not that caregivers deny a duty to caregive or are unwilling to take on caregiving responsibilities; caregivers must be aware of the negative effects on physical and mental health. Caregiving has a way of consuming life. Social activities cease and friends are lost. Caregivers feel lost in caregiving and stop feeling like a husband, wife, daughter, or son. The ongoing tasks and responsibilities of caregiving quickly take up free time that may have existed. Caregivers of persons diagnosed with Alzheimer’s or dementia quickly lose friends. Friends fail to visit because they do not know how to talk about caregiving. The behaviors of a person diagnosed with memory loss may also be scary to someone who has no experience with the disease. Feelings of isolation and loneliness are common in spousal caregivers. In these situations, adult children can be of support to give the healthy spouse time off from caregiving. To maintain a sense of self-esteem during caregiving, maintaining friendships and activities is important. Caregivers may feel they lack the energy to “get out there”. It is important to maintain social contacts and keep living because it is inevitable that in most, if not all marriages, one spouse will pass away before the other. The key is not to give up friends or activities while caregiving. Then the rebuilding process of making new friends and engaging in new activities will not be such hard work. Caregiving support groups in person or online are a source of social activity and contacts. While attending an in-person group may require hiring someone to sit with a loved one, online groups can be accessed easily 24/7. The caregiver must take the first step to initiate contact. Attending a support group provides multiple benefits including caregiving and advocacy tips. Getting better care for loved ones is a result of attending caregiving support groups. Increased confidence and better decision making are also benefits. Caregivers dislike asking for help because they want to feel like they can do it all. This thought process is impractical and results in too much self-sacrifice. Caregivers tend to put everyone else before themselves. Continuing to maintain a social life may necessitate being open-minded enough to ask for help from family members or friends. Hiring paid caregivers to leave the home for social activities is another option. 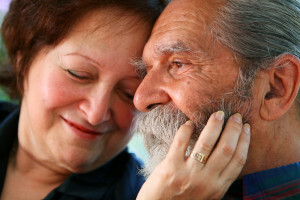 Caregivers need to care and love themselves as much as loving and caring for a spouse. The marriage vows of loving and caring were recited by two people, not one. © 2012, 2013, 2019 Pamela D. Wilson, All Rights Reserved.